A full-scale digitisation of the construction industry could save up to a whopping $1.7 trillion (Dh6.24 trillion) in construction, engineering and design costs globally within the next decade, according to a recent report by the World Economic Forum (WEF) in cooperation Boston Consulting Group. Building information modelling and other forms of virtual reality, 3D printing, wireless sensors, autonomous equipment, cloud technology and other modern technologies are transforming construction sites around the world, delivering cost and time savings that could ultimately be passed on to end users. 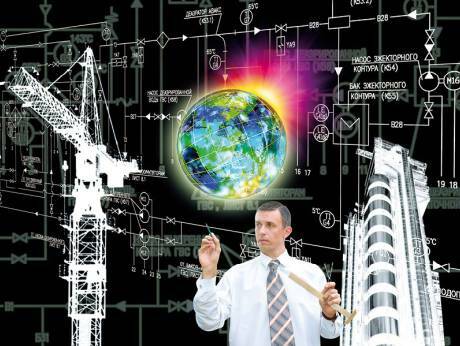 The findings of the report titled Shaping the Future of Construction: Future Scenarios and Implications are already starting to be manifested in the UAE. “The age of construction and engineering is dramatically changing as builders now have direct control of the development of their designs. The potential impact of this technology is limitless,” says Aref Boualwan, a manager tasked with business processes re-engineering at Athens-based construction firm Consolidated Contractors Company (CCC), which substantially contributed to the report. CCC, which built the Dubai Mall and worked on several other projects in the UAE, has partnered with Dubai-based Immensa Technology Labs, a 3D-printing company, to create on-demand concrete casting components facilities from a digital warehouse to simplify its supply chain and make it more efficient. However, Boualwan points out that it was only very recently that digital technologies have begun to emerge in the engineering and construction industry. The government’s receptive attitude towards digitisation may provide a much-needed impetus for greater adoption by developers and contractors. Underlining the government’s commitment, Mahmoud Hesham El Burai, CEO of Dubai Real Estate Institute, is currently a member of the advisory committee of the WEF’s Future of Construction initiative, which develops scenarios covering a range of megatrends in the industry, including automation and digitisation. “Several new technologies have the potential to positively impact the industry, including advanced engineering design software, mixed and augmented reality, along with building information modelling, computer vision recognition, artificial intelligence-based technologies and big data analytics,” says Nour Kassassir, vice-president and business technology services director for Middle East and Africa at construction technology and engineering firm Parsons. Marc Durand, director of digital disruption in the Middle East and Africa at Atkins, says the greatest potential of new construction technologies lies in “maximising the use of data and digital models to increase efficiency through parametric design and automation”. And as Dubai promotes digital readiness in the construction sector, the manpower requirements of developers are also expected to change. “Builders need to be able to manage information in a different format and employees need to be ready to upskill and redeploy themselves as new roles are required such as data scientists and scripters to support the digitisation of the construction and design processes,” says Durand.